The lid for my Anarchist’s Tool Chest is progressing nicely. Yesterday evening I glued up the dust seal, with able assistance from the apprentice. I don’t have enough sash cramps to clamp the dust seal as thoroughly as I would have liked, so while the glue was still wet I pinned the dust seal using 4d cut nails from the good people at Tools for Working Wood. This morning, I broke off the clamps and set about fitting the lid to the case. The chest was slightly too wide to fit inside the dust-sealed lid, so the first order of business was reducing the width of the case above the upper skirt. This was done with a large shoulder plane, taking equal amounts of each side of the case to take down the width equally. Once the case was down to size I test fit the lid. There was a good fit between the dust seal and the case, but there was a significant gap (4mm) between the lower edge of the dust seal and the upper skirt, as shown in the photo above. 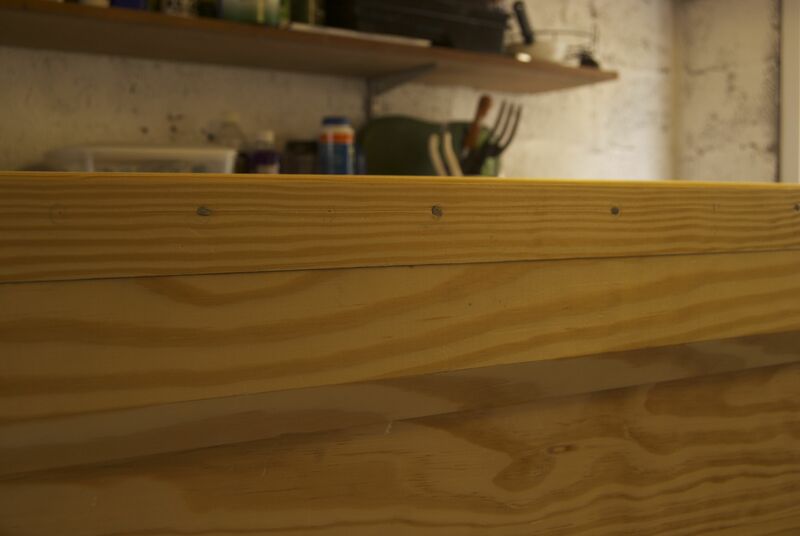 So, it was time to break out the trust No.5 bench plane and take the upper edge of the chest down to height (planing is one of my favourite operations in the workshop). Once the top of the chest had been taken down, there was a good fit between the dust seal and upper skirt. Next up was fitting the hinges. 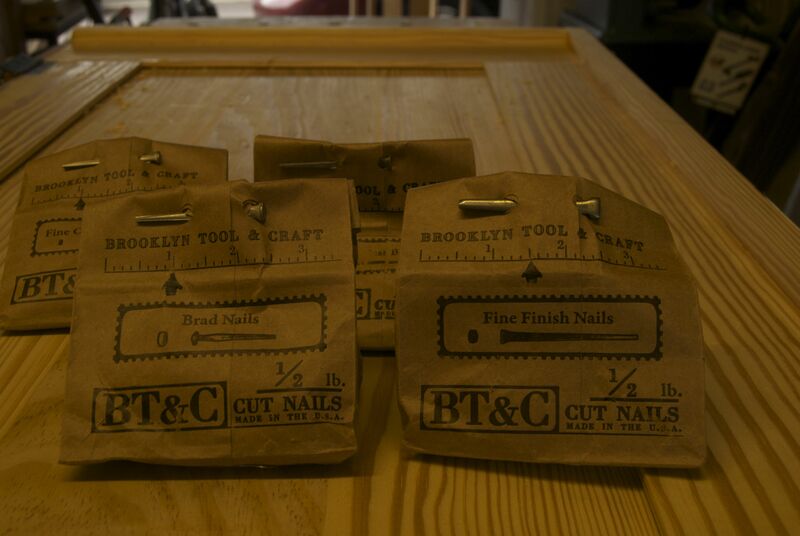 This was a new process for me, so I followed Chris’ instructions in The Anarchist’s Tool Chest closely. 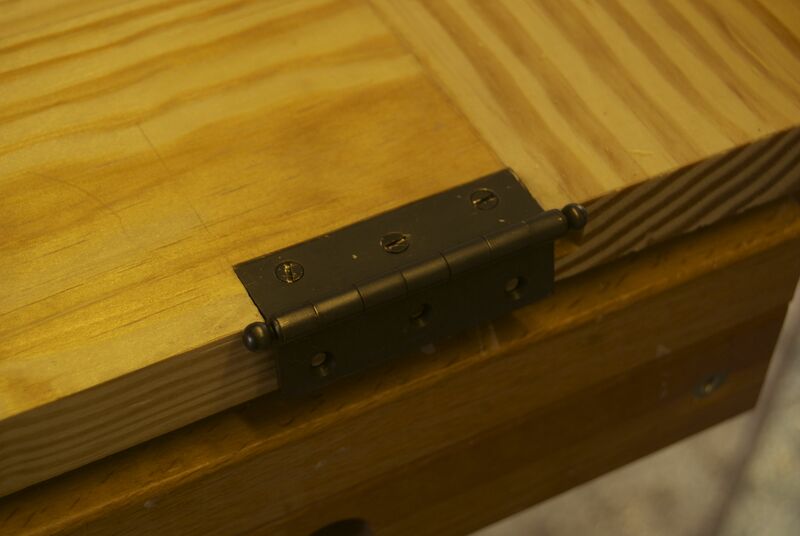 First, and with the lid still on the chest, I measured where the hinges would be and marked one edge of each hinge on the lid and the case with a single stab of a marking knife. 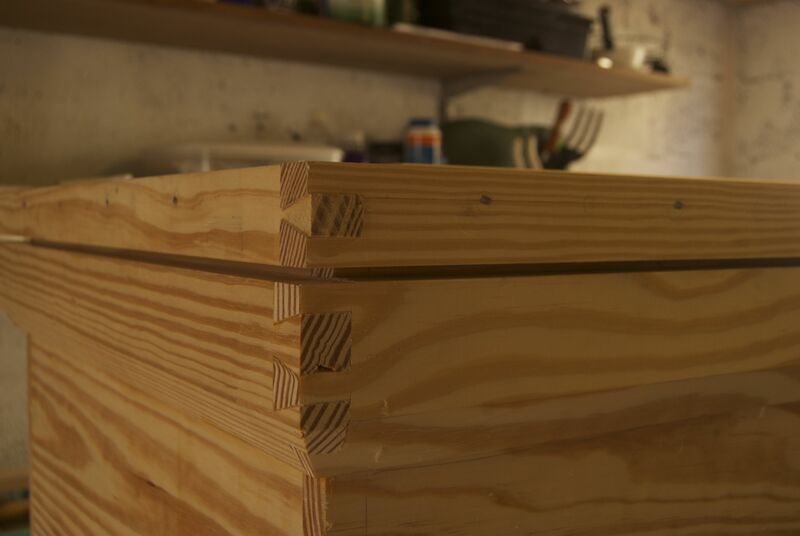 Then, having removed the lid from the chest, I laid out the rest of the hinge dimensions on the lid. Having two separate marking gauges is beneficial for this, as the width of the hinge leaf needs to be scribed on the lid, as well as the thickness of the leaf on the back edge of the lid. 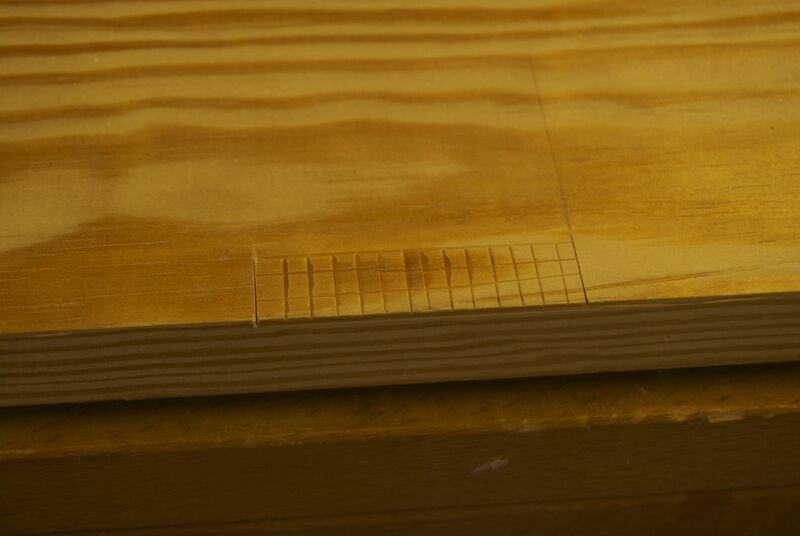 I defined each end of the hinge using a 0.010″ razor saw (which I usually use for slotting guitar nuts), and the back edge with a 1″ chisel dropped into the kerf of the marking gauge line. I then scored the waste both along and across the grain, and then popped the waste out. The bottom of the mortice was then cleaned up with a small router plane. 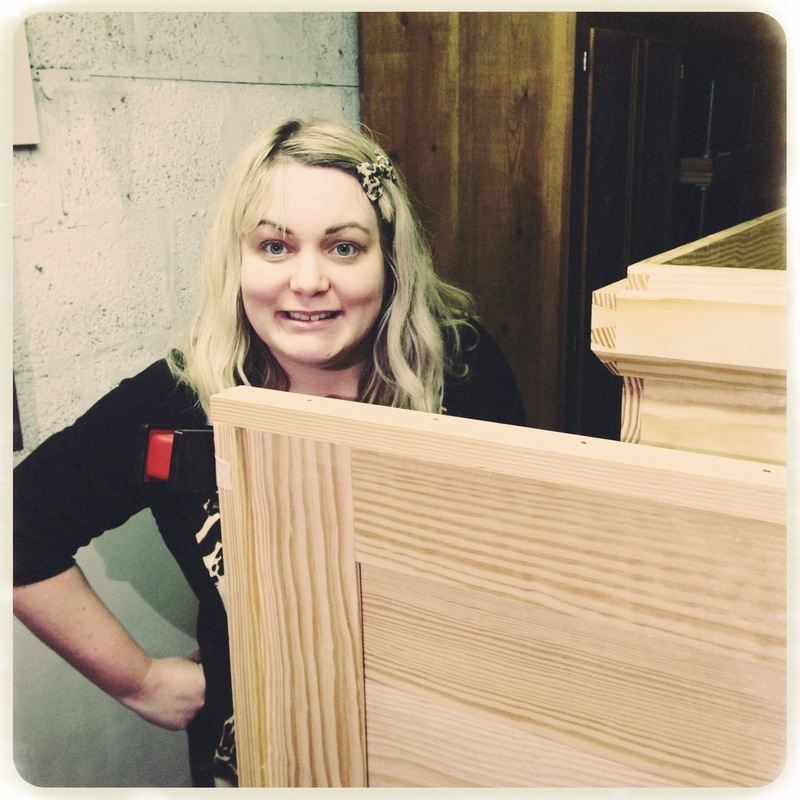 With all three hinges fitted to the lid, my next task will be to fit the hinges to the chest. Did you have any issues with the hinges lying flat? I had to cut the mortises for one leaf on an incline to allow for the hinge and still get a tight closure. Hi Matt, good to hear from you. I’ve not had any issues with getting the hinges so far. Is there any bowing or twist to your lid or the back of your chest? That would be the most obvious cause of the hinge not lying flat, I think, and even a very gentle amount of bow could cause issues. Have you finished your chest yet? Would be good to see pictures once it’s done! No my lid and chest are good and flat. All three of my hinges have a slight gap at the pin side when the tips of the leaves are touching. Now the lid closes on a cushion of escaping air. Like a giant jewellery box!